As part of the paired exchange program, the donated kidney was flown more than 3,000 miles away to that recipient. Miraculously within 12-24 hours, the procedure was done successfully. “I only need one kidney, and the other one is healthy,” Fredrick said. “If one or two or three others consider doing this too, it's a big deal. A really big deal." KUSA - It’s a way of paying it forward that far outreaches any small act of kindness: Donating an organ to a stranger. It all began with a Good Samaritan kidney donor who set off a chain of organ donations. The Paired Kidney exchange program, also known as a "kidney swap", happens when a living kidney donor is not compatible with their recipient (i.e. two best friends wanting to be a donor/recipient pair but not being compatible), so kidney exchanges will occur with another donor/recipient pair that is a correct match. In turn, each donor will donate a kidney and each recipient will match with a donor somewhere who has signed up for the program. It’s a win-win that doctors believe increases the chances of those needing a kidney of receiving one. 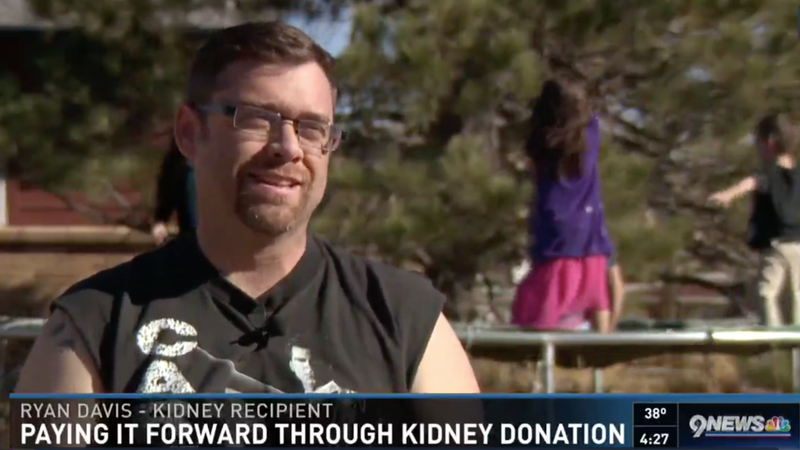 Last week, Good Samaritan donor Jim Frederick from Colorado Springs donated one of his kidneys simply because he wanted to help someone else. Meanwhile, back in Colorado, Ryan Davis, a husband and father of three, had been awaiting a kidney match for over a year. Last month, Davis learned he had matched with a donor in Hawaii, who was also part of the paired kidney exchange program. 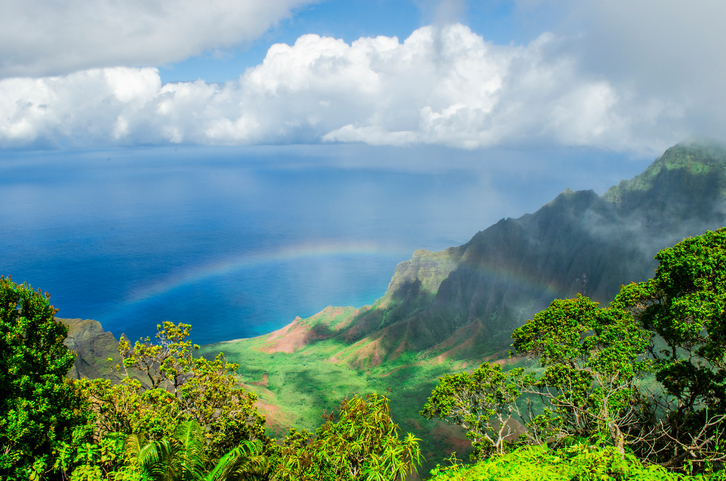 According to Dr. Tom Bak, transplant surgeon at UCHealth, this is paired kidney exchange was the first ever done over an ocean. This neat concept has given people Davis a second chance at a healthy life. 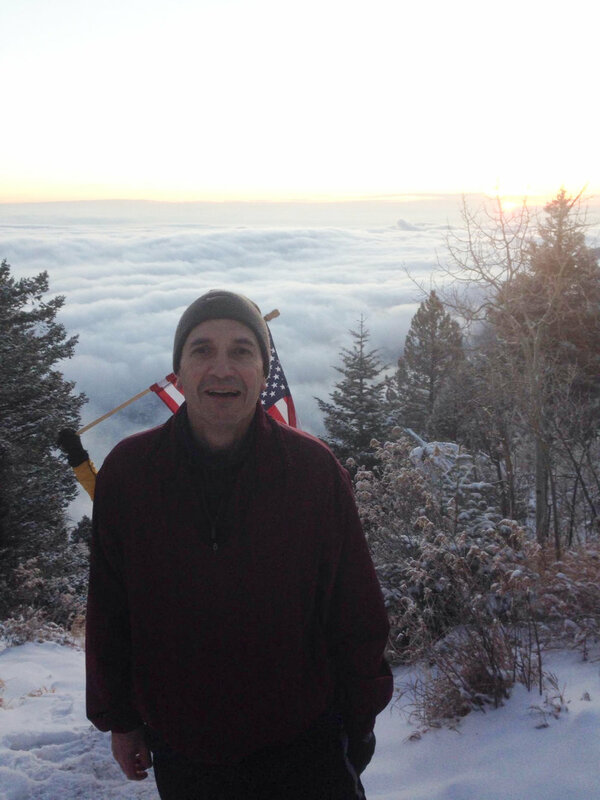 Two weeks after donating his kidney, Jim climbs to the top of the Manitou Springs Incline! 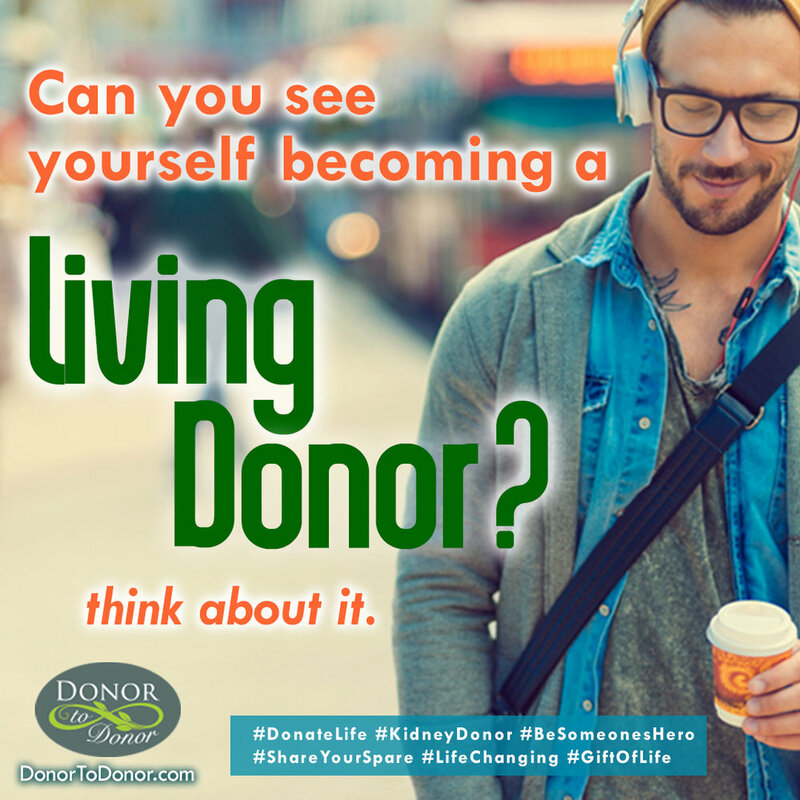 Are you interested in becoming a donor? Please, contact us today, we can answer your questions. You can give someone a second chance at life.